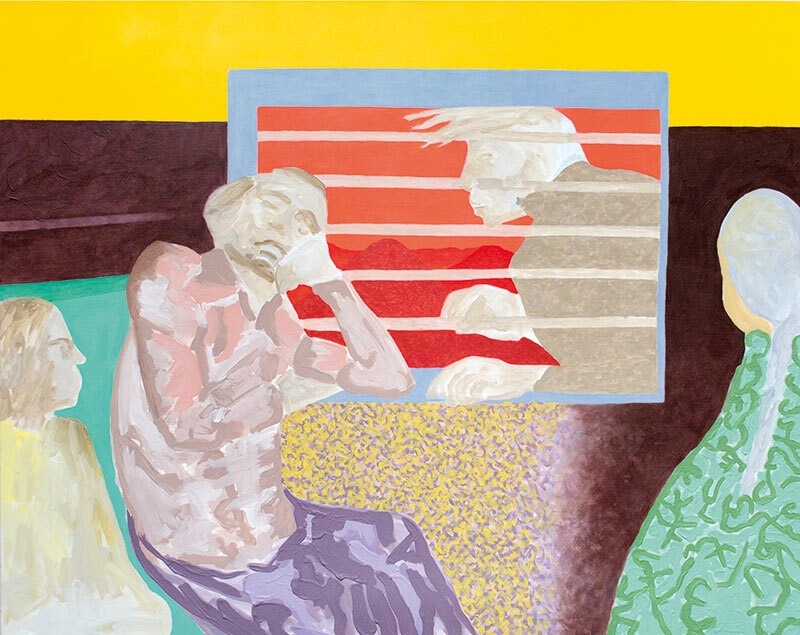 Mumbai-based Gieve Patel’s collection of paintings and drawings expands on his preoccupation with figures found in the margins of society. Playing with the boundaries between the foreign and familiar, and mortality and eternity, the artist invites the viewer to re-examine all that is seemingly unremarkable. Footboard Rider is on display at Galerie Mirchandani+Steinruecke, Mumbai until March 18, 2017. In her first solo show in the city, Sonia Khurana combines performance, video, sound and text-based works to create dialogues within the gallery space. Through her creations, she examines the tension between the basic human need to belong and concepts such as alienation, displacement, desire and refusal. Fold/Unfold is on display at Chemould Prescott Road, Mumbai until February 25, 2017. 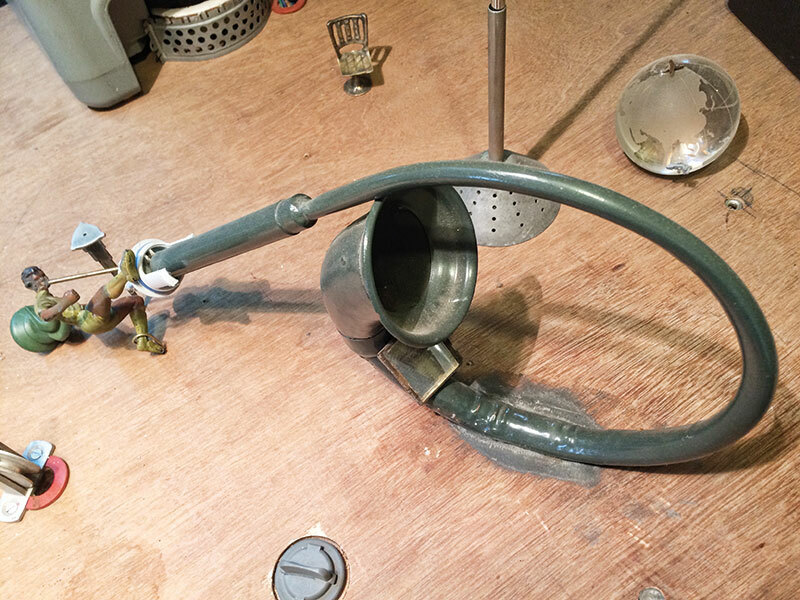 This group of kinetic installations, produced by re-purposing old electronic items gifted to the artist, are at once whimsical and disturbing. Widely respected for his teaching, Kausik Mukhopadhyay presents his first show after a gap of eight years. Squeeze Lime in Your Eye is on display at Chatterjee and Lal, Mumbai until March 18, 2017. Found objects — protractors, stencils, pins and more — bear witness to the vagaries of time in Tanmoy Samanta’s work. 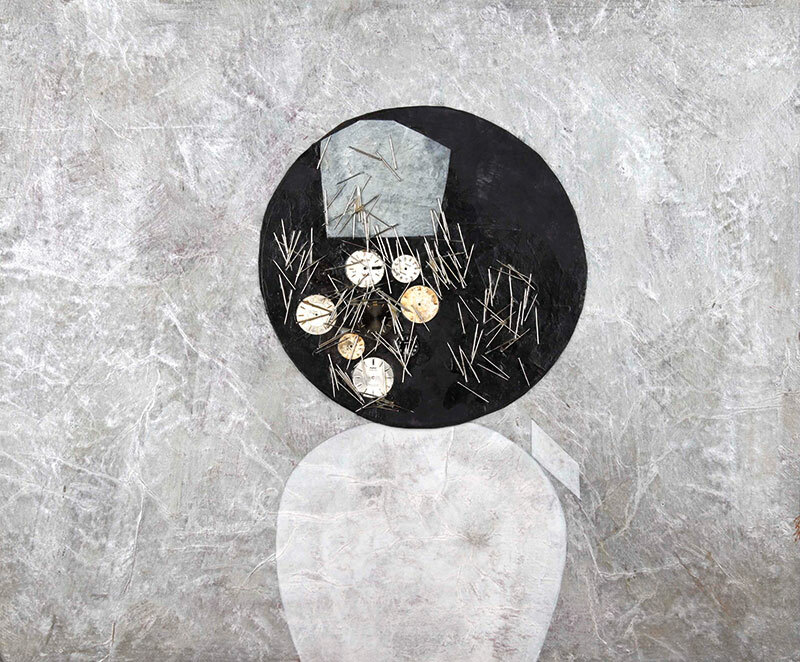 Featuring a series of paper works as well as books and sculptures, the Delhi-based artist presents visual metaphors that explore the surreal and the banal, rendered in stone-like textures and muted colours. Portraits in Time is on display at Tarq, Mumbai until February 25, 2017. Goutam Ghosh’s first solo exhibition in India is a collection of his works, made using chalk, gouache, kite paper and fabric. Myriad ordinary moments capture his fancy, as the Shantiniketan-based artist investigates the mysteries of the human condition. bootstrapping is on display at Project 88, Mumbai until February 28, 2017. Exploring the aesthetics of silence through drawing and sculpture, Bangladeshi artist Ayesha Sultana’s show is an enquiry into looking. 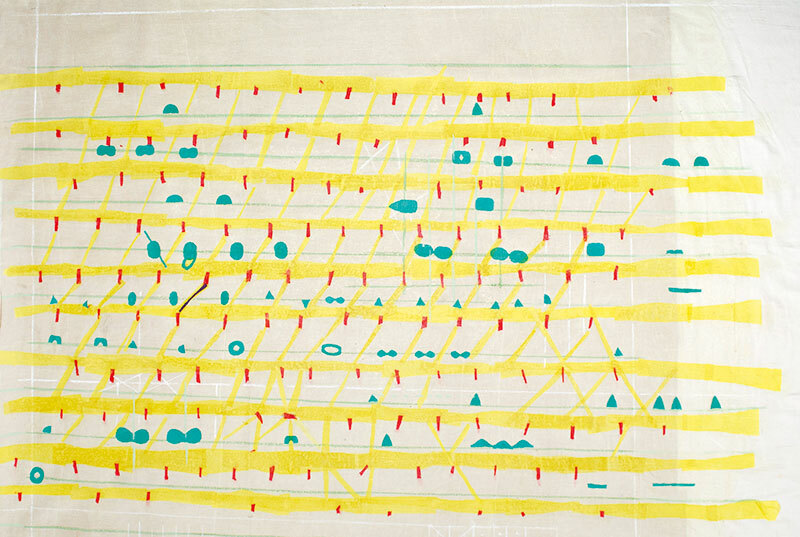 “It responds to my ongoing concerns with perception, but at the same time deals with the relationships between movement and stillness, rhythm and repetition and form and colour,” she affirms. 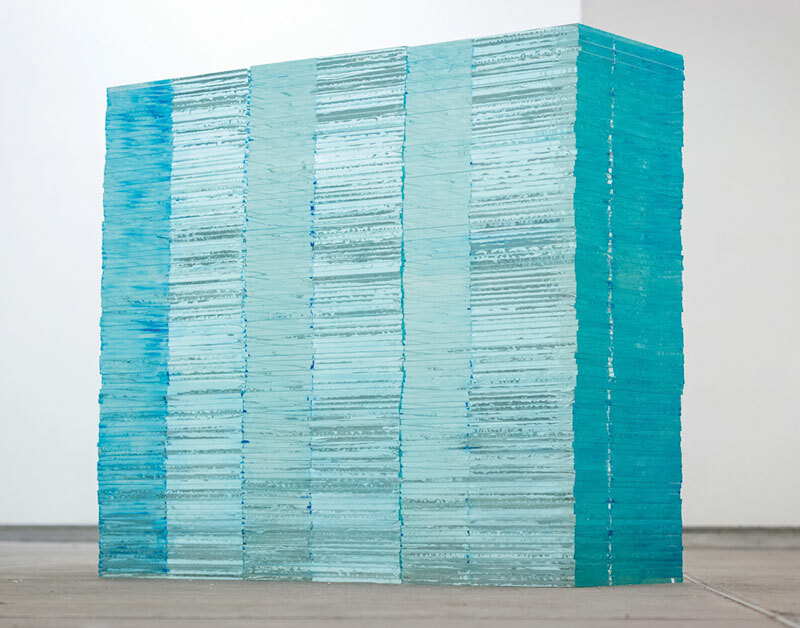 In one example, her suite of sculptures, titled Pool, use glass, silicone and paint to ‘embody liquid’. Glass slabs are embedded with colour, giving the appearance of liquid trapped between them. Sultana puts an emphasis on minimal intervention while creating her work, “where the gesture or contact of the hand/body in the making of it is subtle yet evocative,” she explains. Making Visible is on display at Experimenter, Kolkata until February 21, 2017. 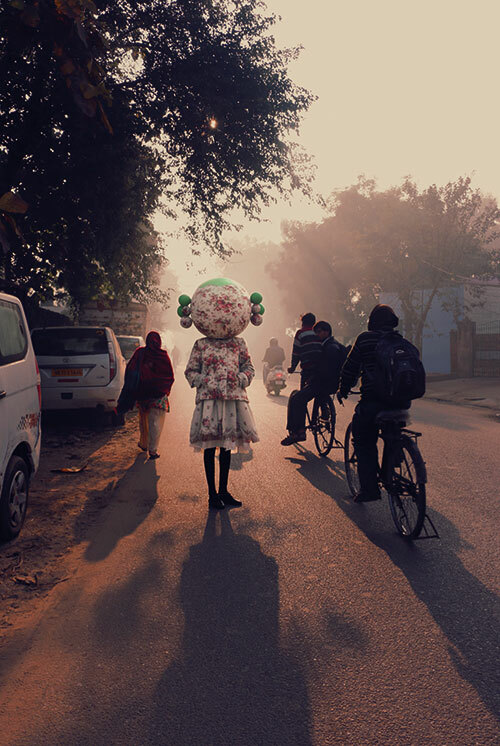 Princess Pea dons an enormous head over her petite frame and goes about her day almost blindfolded, in this series of photographs. Using anonymity as a tool for engaging with the world, she presents herself in the form of a ‘living toy’, an anime-style figure that cannot talk, smell or hear. The self-proclaimed image-maker enjoys Bowie tunes, afternoons and “can eat salad forever”. Princess Pea longs to live in Kyoto and read Murakami “under the sun”. Her alter ego is the result of her being teased for her tiny frame as a child, and is based on a sketch of her sister’s head resting on her own shoulders. Hers is a fictional world far away from this one. Why do you choose to be anonymous? “The idea of anonymity is work in itself. Living in this world where everything is accessible, as an artist I found it interesting to be discreet, absent or unavailable. It’s a bubble of belief I try to pursue. Since the beginning, the idea was to keep my identity concealed. To keep the spirit going, I seek believers, not just viewers. What are the themes you explore in your work? Sunrise Ceremonies is on display at Sakshi Gallery, Mumbai until February 23, 2017.